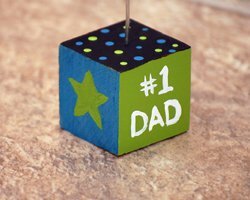 This photo holder is an easy craft the kids will enjoy decorating for their Dad. 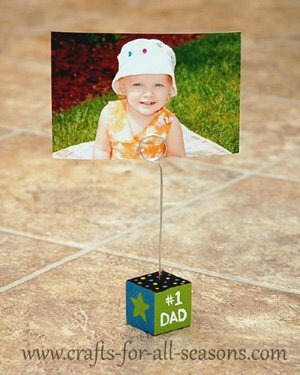 A wire loop is attached to a wooden block, and can hold a photo, a card, or a picture for Dad's desk. The base can be decorated in any way you like. 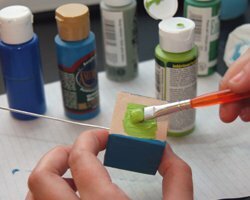 Here we used acrylic paints, but you can use stickers, beads, gems, stones, buttons, or anything else you can think of! Just glue them on with strong glue. 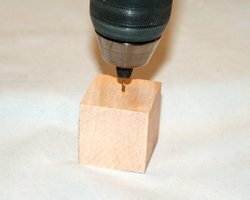 drill or dremel tool with 1/16" drill bit or slightly larger. 1. 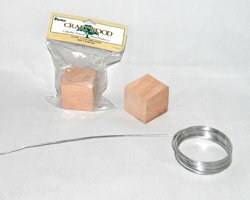 Pictured below are the two items that make up this craft, the wooden block and the spool of modeling wire. 2. Use a drill or a dremel tool, attach a drill bit that is slightly larger than the diameter of your sturdy wire. 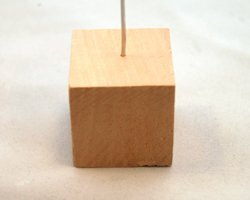 Drill a hole in the middle of the block, but don't go all the way through. 3. 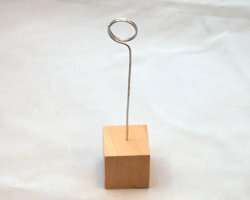 Wrap the wire around a one inch dowel (or similar sized object) three times, then leave a tail coming off. Cut the tail as long as you want the wire stem to be. 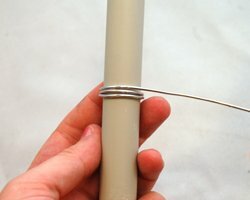 Slide the coils off of the dowel. 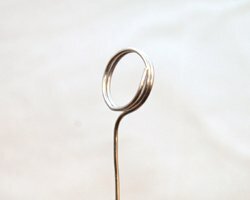 Then, use pliers if necessary to squeeze the coils tight together, so that a picture can be held tightly in between them. 4. Insert the wire into the block, and straighten it out if needed. 5. Now you are ready to decorate the base in any way you choose. I painted it with acrylic paints. But get creative... think dried flowers, buttons, scrapbooking embellishments... the possibilities are endless! If you made this craft, please submit a picture below! 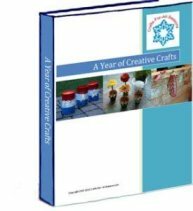 Many thanks and happy crafting!